Affirmative action, Arrested Development, and Tesla: The week’s most interesting Slate stories. 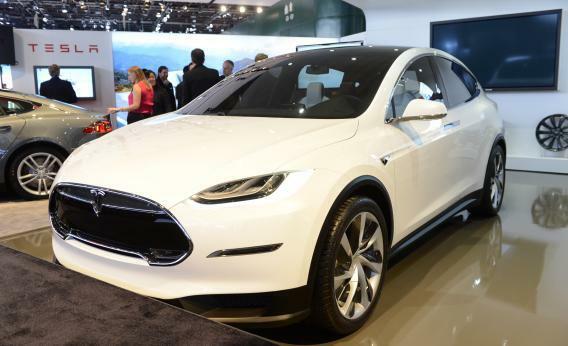 The Tesla Model X. Scott Woolley argues that the U.S. government should have gotten more out of its investment in Tesla. “A Legacy Litigated: President Obama better get his judges appointed. Because his legacy will be decided in the courts,” by Emily Bazelon. Last week marked the Senate’s confirmation of President Obama’s most recent nominee to the D.C. Circuit of the U.S. Court of appeals, and three additional nominations are expected soon. Bazelon writes that the president’s renewed interest in the nation’s second most powerful court is welcome news after years of inaction on the court’s vacancies and that it signals to Republicans that the president is finally serious about judicial threats to his legislative achievements. “The Two Faces of Michele Bachmann: The Minnesota Republican and Tea Party favorite was a master of the direct appeal—and the misdirection,” by John Dickerson. Tea Party favorite Michele Bachman announced Wednesday that she would not seek re-election next year. Dickerson reflects on Bachman’s uncanny ability to tap aggressively into the emotions of her supporters as well as her predilection for fact-free claims and fuzzy, empty rhetoric. “My Map or Yours? : Google’s plan to personalize maps could end public space as we know it,” by Evgeny Morozov. Google has recently announced an upcoming overhaul of its popular map service in which users’ maps will be personalized with preferential treatment given to places mentioned in emails or frequented by social networking friends. While acknowledging the innovation is an ingenious move from an advertising perspective, Morozov argues that Google’s vision prizes selfish utilitarianism at the expense of shared experience and spontaneity. “Close, Single, and Infectious: A deadly meningitis outbreak is targeting the gay community. Are hookup apps to blame?” by Mark Joseph Stern. A recent meningitis outbreak in New York City’s gay community has been tied to the use of cell phone hookup apps like Grindr and Scruff. While the health department’s targeting of these apps has raised allegations of homophobia, Stern defends the city’s approach, citing cooperation from many of the hookup apps themselves and some apparent success in stemming a larger public health crisis. “The Best and Simplest Way to Fight Global Poverty: Proof that giving cash to poor people, no strings attached, is an amazingly powerful tool for boosting incomes and promoting development,” by Matthew Yglesias. Complex development schemes have been the order of the day in the fight against global poverty, but Yglesias argues that the best solution may simply be a one-time injection of cash. Citing recent research results from a Ugandan project where recipients of cash grants experienced substantial long-term benefits, he argues that alleviating poverty may be a lot easier than people realize. “Arrested Development Was the Ultimate DVR Show: Too bad almost no one had a DVR when it aired,” by Farhad Manjoo. Last weekend marked the release on Netflix of the long-awaited fourth season of Arrested Development. Manjoo explains how the show’s comic density and wealth of subtle spoken and visual jokes was made for DVR viewing at a time when less than 3 percent of American homes had the technology in their homes. Also, make sure to check out Slate’s Arrested Development TV Club and Arrested Development Spoiler Special. Ted Genoways. In a forceful rebuttal to Anna Weaver’s pro-Spam piece in Slate last week, Genoways draws attention to the tinned foodstuff’s more unsavory characteristics. Citing Hormel’s questionable treatment of animals and unscrupulous labor practices along with Spam’s enormous levels of fat and sodium nitrite, he asserts that the unappetizing product at best little more than an unhealthy novelty meat.